Foreign countries may require documents to be authenticated in order to be accepted in the foreign jurisdiction. Authenticating a document verifies the document’s source so foreign countries can be sure the document is not fake. The traditional method for authenticating documents to be used overseas is called legalization. This article discusses the apostille procedure and the full legalization procedure for documents issued by U.S. federal agencies. 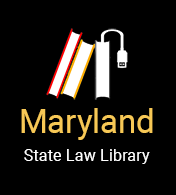 You can read about legalizing Maryland documents for use abroad here. A legalization is made up of a chain of official authentications of the document and can be slow and costly. Because of this, numerous countries agreed to simplify the process, which created the 1961 Hague Convention abolishing the Requirement of Legalization for Foreign Public Documents. The convention reduces the process to a single authentication: an authentication certificate (an apostille) issued by an authority designated by the country where the document was issued. Do you need documents legalized? Foreign burial of the deceased. However, some countries may not require certain documents to be legalized. If you are unsure, you should check with the intended recipient of your document on their legalization requirements. What country do you plan to use the documents in? If you do need documents legalized, whether you need a full legalization or an apostille depends on which country issued the document and which country you want to use the document in. Apostilles can only be issued for documents that (a) were issued in a country that signed the Hague Convention and (b) are to be used in a different country which also signed the convention. You can check here to determine if the country you will use the document in accepts apostilles: https://www.gsccca.org/notary-and-apostilles/apostilles/hague-apostille-country-list. EXAMPLE: The United States and Peru both signed the Hague Convention. A birth certificate issued in the U.S. can get an apostille certificate for use in Peru. Countries that are not signatories to the Hague Convention may require the full legalization. What type of document are you getting legalized? There are three primary types of documents that require authentications: private documents (individual or corporate); state/county-issued documents; and federally-issued documents. The type of document determines which authority is designated to authenticate or apostille the document. Private documents can be personal (example: Power of Attorney) or corporate (example: Articles of Incorporation) and may be issued an authentication or apostille by a designated authority, general the state Secretary of State’s office. Examples of commonly authenticated private documents are listed below. State/county-issued documents may be issued an authentication or apostille by a designated authority, generally the state Secretary of State’s office. Documents issued by U.S. federal agencies are issued an authentication or apostille by the U.S. Department of State Authentication Office. Requirements, costs and address are below. Determine what particular apostille or authentication process you must follow. If a private or state/county-issued document, determine which state and department the document was issued in, as applicable. Read about Maryland’s apostille and full legalization process here. Each state determines their own apostille and legalization procedures, you should check with the appropriate authorities in that state. Most state’s Secretary of State websites list their state-specific requirements for an apostille. If a federally-issued document, determine which federal department issued the document. There is one standard way to authenticate or apostille federally-issued documents. This process is described here. 1. Obtain a certified original document or a certified copy from the issuing U.S. federal agency. To be certified, the document must have the seal and authorized signature of the issuing department. 2. The document then must be mailed or personally delivered to the U.S. Department of State Authentications Office in Washington, D.C. for an authentication or an apostille. For cost, requirements and address, please see below. If the document requires an apostille, this is the last step. For federally-issued documents, the U.S. Department of State Authentication Office issues an apostille and the document is now ready to be used in foreign jurisdictions. 3. For a full legalization, the document then must be mailed or personally delivered to the foreign country’s consulate office nearest the customer for an authentication. Costs, requirements and addresses depend on the consulate. Consular Reports of Birth, Death and Marriage of U.S. Citizens abroad are issued an authentication or apostille by the U.S. Department of State, Bureau of Consular Affairs, Passport Services, Vital Records Section. You can find more information here, at http://travel.state.gov/content/travel/english/legal-considerations/judicial/authentication-of-documents/notarial-and-authentication-apostille.html. Documents issued by a U.S. federal court may be issued an authentication or apostille by the Clerks and Deputy Clerks of that federal court. An authentication of a document is $8 (whether for an apostille or a full legalization) and may be completed in three different ways: by mail, in person by the Walk-In Counter or in person by prescheduled Appointment. All of this information can be found on the U.S. Department of State’s website at https://travel.state.gov/content/travel/en/legal-considerations/judicial/authentication-of-documents/requesting-authentication-services.html. Be sure to specify the document’s country of use in Section 4; the document will not be processed without this information. Form DS-4194 can be found here, at https://www.state.gov/documents/organization/183033.pdf. Fed Ex (do not use FedEx Ground or FedEx Home), UPS, and Certified Mail are all accepted methods for sending and returning documents. Unlike the Maryland Secretary of State, U.S. Department of State does not process your documents while you wait. If you use the Walk-In Counter, you will leave the documents to be processed and pick them up at a later date. Note that there are very limited hours for drop-off and pick-up (Monday through Friday, 8:00 a.m. – 9:00 a.m.). When you drop your documents off, you will receive a document receipt and a pick-up date. To claim your documents, you must return between 8:00 a.m. and 9:00 a.m. on that pick-up date. Documents accepted during the drop-off time will be processed and available for pick-up between two to three business days. Form DS-4194 can be found here at https://www.state.gov/documents/organization/183033.pdf. Customers are limited to fifteen (15) documents per submission and one submission for drop-off services per day. The check may be a personal or business check; checks and money orders must be made out to the “U.S. Department of State”. Cash is accepted when picking up completed documents and the exact amount is required. Credit card payments are accepted when picking up completed documents. Visa, MasterCard, Discover and American Express are accepted. A photo ID must be presented when using a credit card. If you are submitting your own personal documents and have an urgent/emergency reason for expediting your document request, you can schedule an appointment with the Authentication Office in advance. Walk-in appointments are not accepted. There is a limit of one appointment per day and you must appear in person at the Office of Authentications at the specified time of your scheduled appointment. Individuals submitting documents for someone else are eligible to schedule an appointment in life-or-death emergency cases (such as serious illness, injury or death of individual or family member) or for other serious urgent/emergency reasons for expediting the document request. Appointments are held between 10:00 a.m. and 12:00 p.m. and 1:00 p.m. and 2:30 p.m., Monday through Friday at the U.S. Department of State’s physical location. Cash is accepted when picking up completed documents in person and the exact amount is required. The apostille Convention has issued a Model apostille Certificate (see image below), but not all apostilles look exactly like the Model Certificate. An apostille can be placed on the document itself or on a separate page. (The separate page is called an allonge). Apostilles may be affixed with adhesives, rubber stamps, and seals. The apostille Section of the Hague Convention website lists Competent Authorities and costs (if known) for any country that is party to the Convention; the website also provides a host of additional useful resources related to apostilles. Adams, James W. The Apostille in the 21st Century: International Document Certification and Verification. 34 Houston Journal of International Law. 519 (2012). Apostille Prescribed by the Hague Convention. 6C Nichols Cyclopedia of Legal Forms §139:13. Robert S. McLaughlin, Ryan Steidl, and Jonathan W. Tippens, Practicing pursuant to Rule 16 of the Rules Governing Admission to the Bar of Maryland – University of Maryland Francis King Carey School of Law (Summer 2014); Expanded and edited by Miranda D. Russell (December 2016).